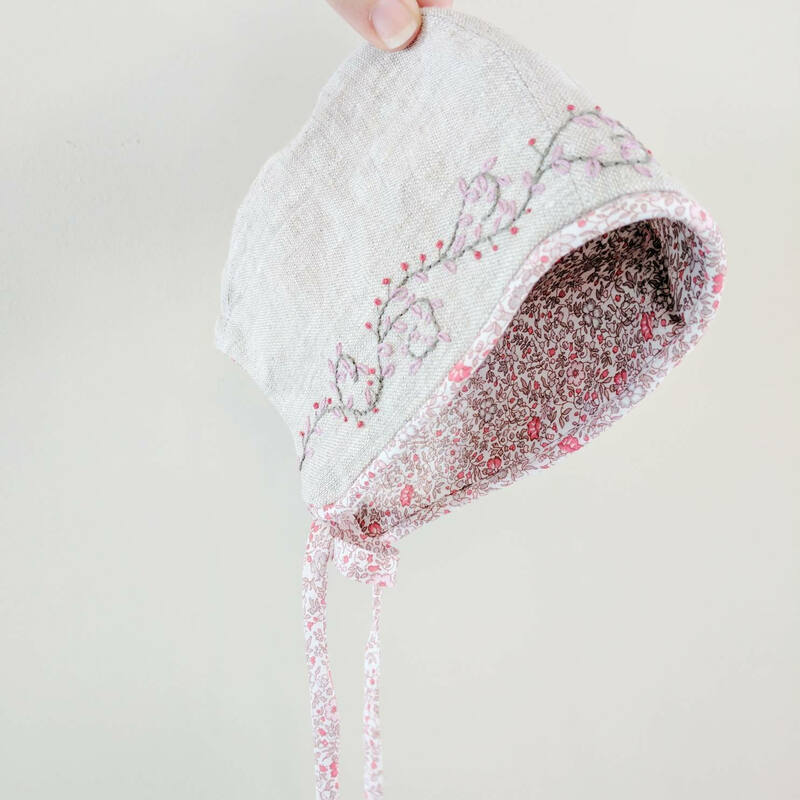 This BABY BONNET is a vintage style baby hat and will be a gorgeous addition to your little one’s wardrobe. Designed with a modern take on a vintage style, this piece will mix effortlessly with your existing outfits, adding a sweetness that bucket hats are unable to replicate. Made in Liberty Art Tana Lawn with linen lining, it is soft and comfortable while being fully reversible. 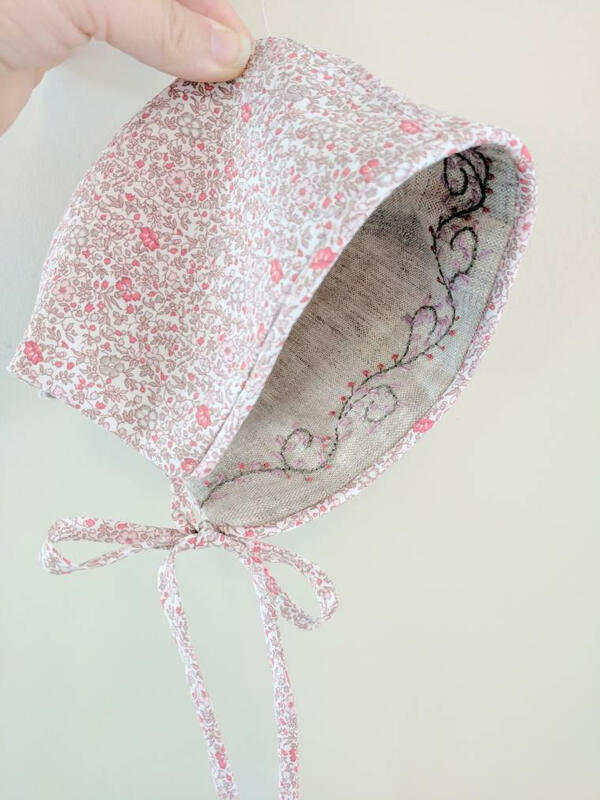 This baby bonnet is perfect for indoors or being pushed in the stroller on cooler days when protection from the weather is important, rather then from the sun. The ties are gentle on the neck and ensure it doesn’t blow off in the wind. 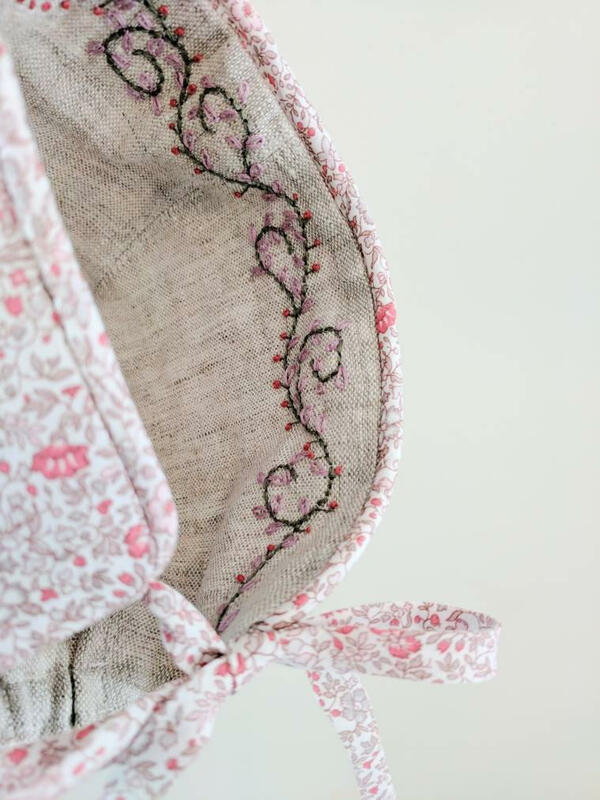 On the linen side I have hand stitched a delicate vine motif with petite leaves and berries. Framing the bonnet is piping, this is an added detail to add depth to the final whimsical look of the bonnet. Handmade in Queensland, Australia from iconic 100% cotton Liberty Art Tana Lawn, lined in linen. This listing is for one bonnet and due to the handstitching it may vary slightly from the images. Liberty Art tana lawn is iconic British designed fabric renown for its quality and historic floral prints. Made without the use of crease-resistant chemicals or irritating allergens, tana lawn is truly unique and takes its name from Lake Tana in East Africa, where the original cotton grew. Made from specially selected, ultra fine, long staple cotton, the result is a famous combination of fabric technology - fine, cool, durable and comfortable, with brilliant colours and detail. Pollen Australia is dedicated to creating long-wearing, multi-seasonal, heirloom clothing, accessories and homewares that are designed to be handed down from generation to generation. Priding itself on ethically handmade ‘slow’ products, these garments are of impressively high quality and illustrate a devotion to impeccable craftsmanship. I accept PayPal & Credit Cards (through PayPal). All items are posted through Australia Post. International customs is payable by the customer in those instances that your country requires. If you require your item before a certain date, please message the shop prior to purchasing, so that we can ensure production and shipping can be achieved. Most items are 'made to order' and are not available to immediate shipping, however we are happy to work towards getting your product out as soon as possible. Pollen Australia would like you to be happy with your order. If that is not the case, please let us know within seven (7) days of receiving your order and we will work towards a solution. In most cases, you may choose from an exchange, refund or credit note. 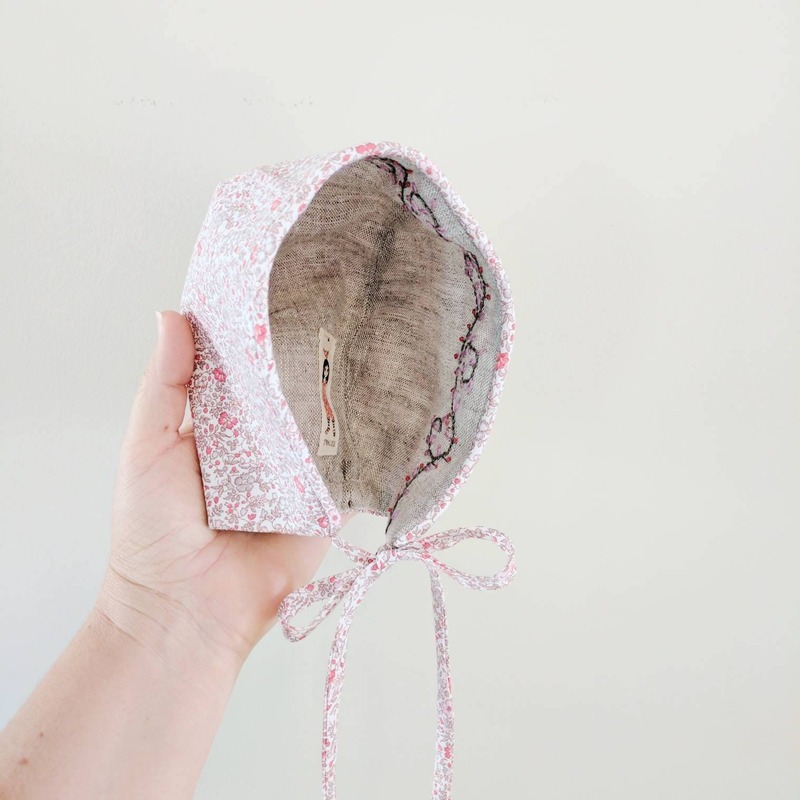 However, there are some instances where this is not possible - if the item has been worn, or is an 'intimate item' such as earrings, or is a custom-order. We will, of course, refund for reasons of faulty products, or products that do not match the item description. Please note that shipping and handling is non-refundable, and that the item must be returned, at your cost, within fourteen (14) days of receipt. Custom and Wholesale orders are available. Please DM the shop with information on what you are hoping for and we will get back to you as soon as possible!